Coach Jorden will be having a meeting on Thurs., May 17 at 2:30 pm in Room N-65 for any girl interested in running cross country next fall. The meeting will last about 30 minutes and cover information about summer training and the upcoming season. 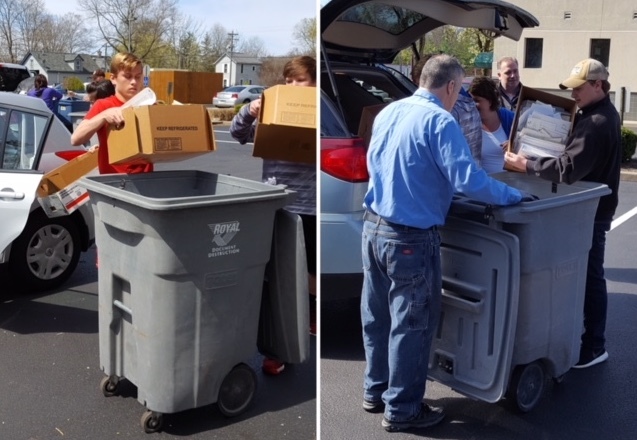 Milford Wrestlers recently volunteered at Milford Shred Day, assisting the City of Milford and residents collect paper for shredding. Eat at Butterbee’s on Wednesday, April 25 between 11:00 am and 11:00 pm, and Butterbee’s will make a donation to the MHS boys volleyball program! You must present the flyer prior to ordering. There will be a meeting on Wednesday, April 25th for any student interested in the joining the high school or new junior high Dance Team for the 2018-2019 season. The meeting will be held at 2:30 in the MHS café. SETTING THE SCENE: The Eagles have a full slate of competition in the week ahead including Eastern Cincinnati Conference foes Anderson and Turpin, who like the Eagles are ranked in the top ten of the Cincinnati Enquirer coaches’ poll. Milford High School is saddened to learn of the recent passing of longtime teacher and head boys golf coach Doug Kassen. Coach Kassen was inducted into the Milford Athletic Boosters Club Hall of Fame in 2008, along with the state champion 1989 boys golf team.